Hello there! This week at Let's Scrap, I did the left side of the sketch. This is an old photo of #1 , taken while we were watching Disney on Ice (2years back???). I used mainly Bo Bunny stuff here, except that tape is from Cavillini. Do check out the rest of the lovely DT members' creations on site! There are lots of stuff going on right now at the blog so drop by at Let's Scrap every other week to play along and remember to link up! Michelle, I love this layout! So cute! I love the way you framed him with the sticker and then used them on the rest of the page! I love your layout!!! You capture your son living his life - that is so important!! 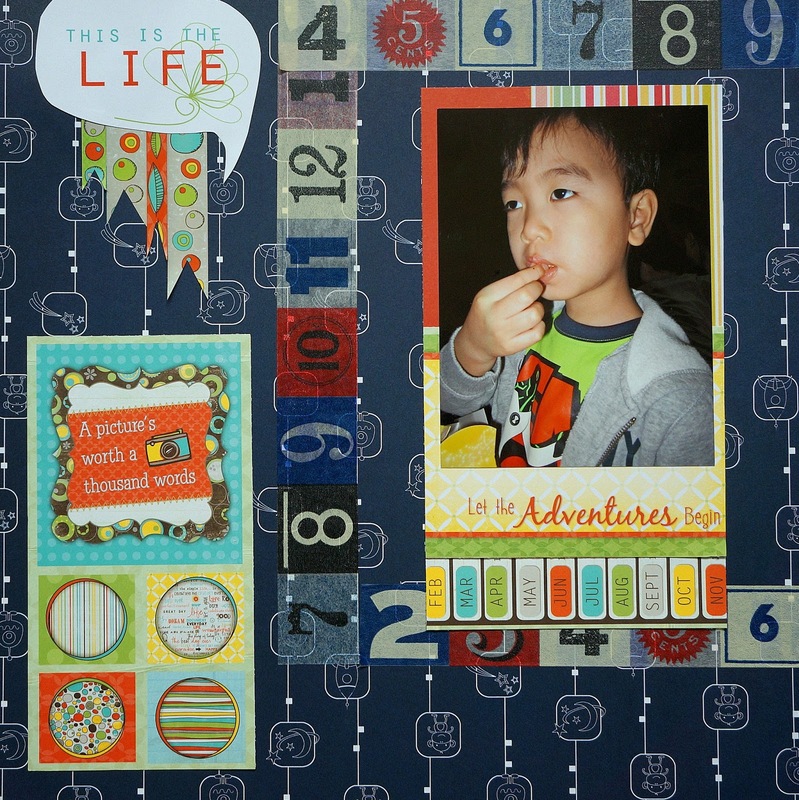 Love the papers and stickers you used!! Love being on the DT with you at Let's Scrap!! Love these papers you worked with Michelle... and what a great pic!! Great work! !